I've never done the scarf-belt tuck in before and wanted to try it out. I must say, I think this first attempt was definitely a success. I love this belt from Zara, I'm sure you can all guess why... (I just die over anything studded, love it). I would have worn these electric blue beauties but my feet were hurting me so I stuck with the flats. I must say the added heel, and color of these shoes adds so much to the outfit. Here is a close up of the jewels I was wearing. I think the balenciaga bracelet my BF got me over the summer was one of the best gifts ever, I wear it almost every day. The YSL ring was also another gift from him which I just can't take off... he's really knocked all my gifts out of the park. This scarf I purchased off of Ebay several years ago. I had wanted one of the Alexander McQueen scarves and couldn't afford one. While browsing through Ebay, thinking up ways to raise/ steal/ borrow money to purchase one, I came across this scarf here which looks very similar and was a mouth dropping thirty dollars, much more my kind of price. Here is a detailed shot of my bag. 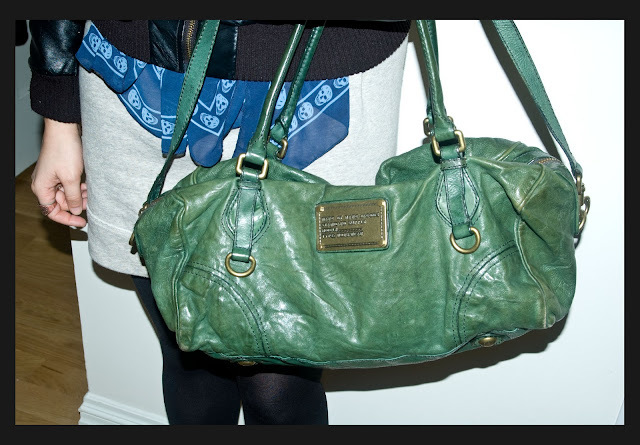 I love love love the leather this bag is made out of, it has sort of a distressed look. The color is also amazing; so unique like a bluish green. It's also huge which I can't rave about enough. I just love big bags that can fit all my things. Here is my outfit from last week. I purchased this scarf several years ago at Intermix. It was quite an expensive piece but I just couldn't get over the two blue combo; I love the colors so much I just had to have it. The vest I purchased at an LF sale about a year ago, it was originally some ridiculous amount but I got it for 40, quite the snag. 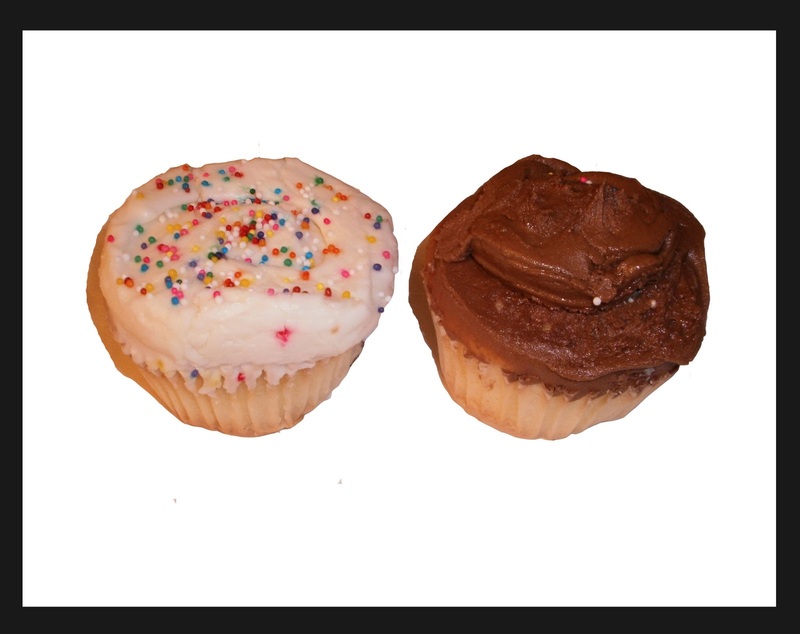 I couldn't end without sharing my love of cupcakes. We had these at an office get together and I snapped a quick shot. No they are not Crumbs, not even comparable really, but still good. I wasn't a huge fan of the chocolate but I thouroughly enjoyed the Vanilla, and even more so, the cookie dough. Guess what? It's almost Friday!! If you can, please give me some love on Lookbook, hype me up (the little button is under my individual shot earlier in the post)! 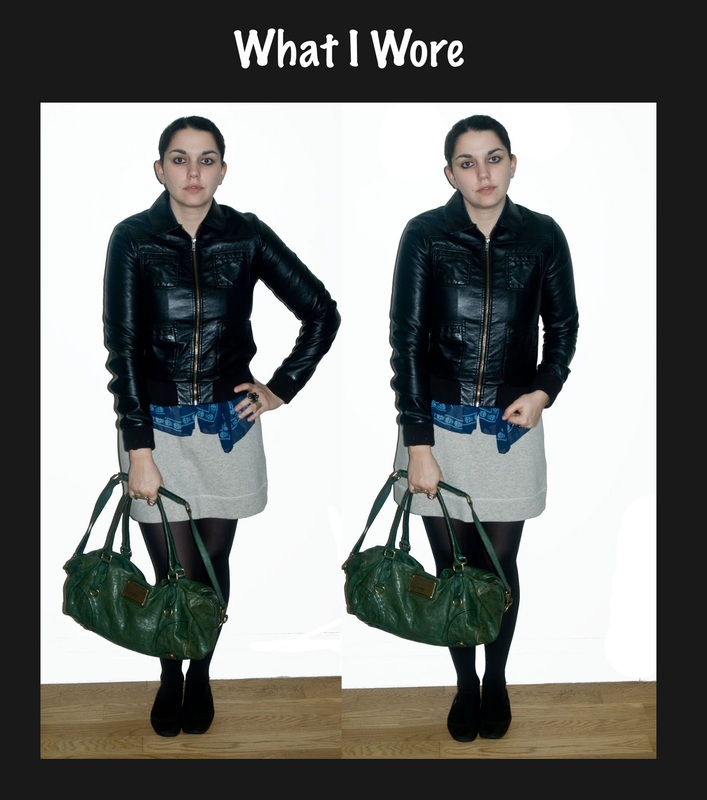 love how you wrapped the blue scarf around the front, and the leather jacket is AWESOME! Your first look is amazing I love it! That belt is gorgeous! Love your outfit, especially the scarf and bag! I love your electric blue heels too, they're amazing! I'm always a fan of the scarf tucked into the belt! And I love how a long, thick scarf adds a second layer to an outfit! Gorgeous! Loved loved the outfit, those shoes are amazing and not only saying it cause I'm wearing electric blue suede pumps as I type, awesome! ... Thanks for commenting on my site, I'll follow! 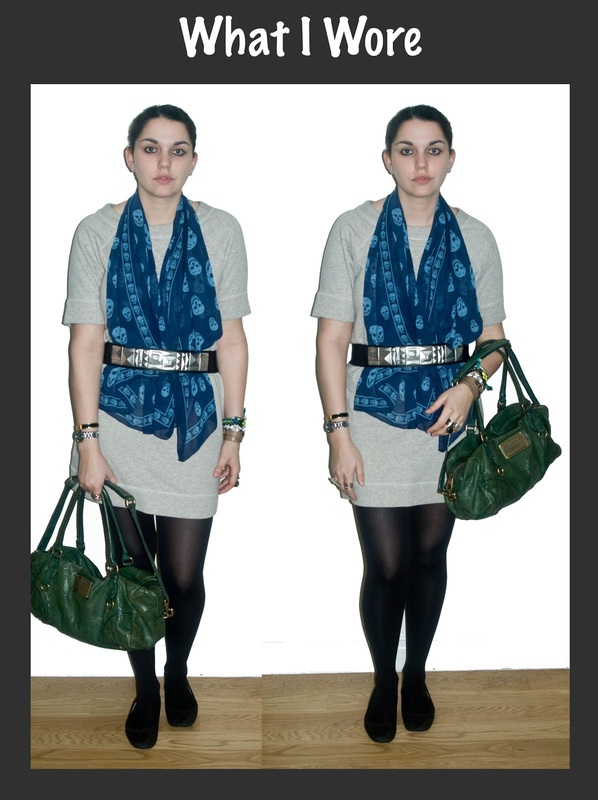 I love love love the Alexander McQueen scarf and the Hermès belt! That is a gorgeous electric blue scarf, indeed! And that belt is awesome! Plus I think I like the blue heels with all the black, too! And your jewelry! Love it!!! 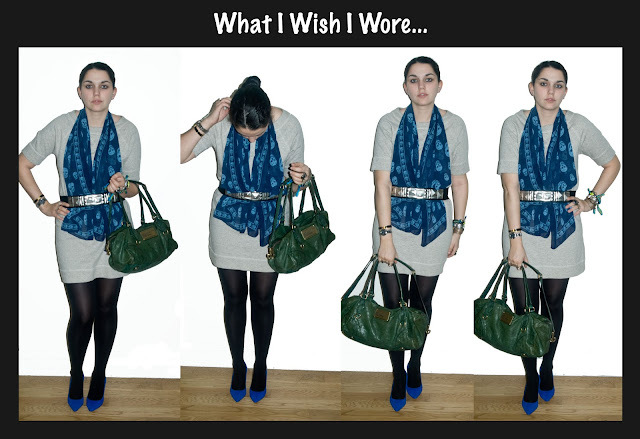 I love the blue shoes, plus the scarf is great. love the scarf/belt combo! Haven't tried that but looks great! The blue shoes are a nice touch too! Rock out!! Gorgeous outfit! i like the contrast with green Marc Jabobs bag! i love marc by marc jacobsss!! thanks for your sweet comment! !